Some people have a different color scheme or theme for their Christmas decor every year. I admire Victorian beauties from a distance, and part of me would love an elegant room like that, but I couldn’t get too close. It would be too hard to toss things out to start over next year. I get emotionally attached. Each little ornament means something special to me. Each one has a story and a memory. You can learn a great deal about me and the people I love by what I hang on the Christmas Tree. Starting at the top. . . This little angel topped our tree for about 20 years. I designed it from leftovers of a wedding dress I altered for a friend. Our Star of Bethlehem. Retiring our angel was not a decision to take lightly, but when Mom needed to give her star a new home, we decided on another prominent place for the angel. Our first Christmas tree the year we were married was sparsely decorated, mostly with homemade decorations. 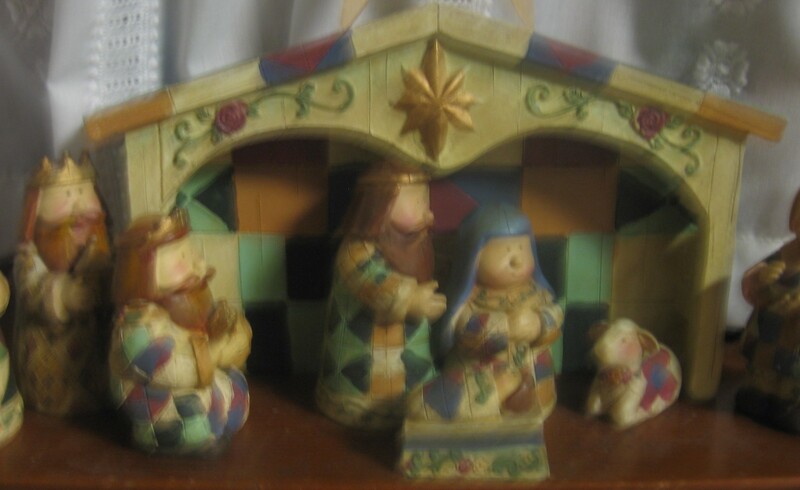 This was our first Nativity, made from play dough and painted, set in a gourd I brought home from Colombia. 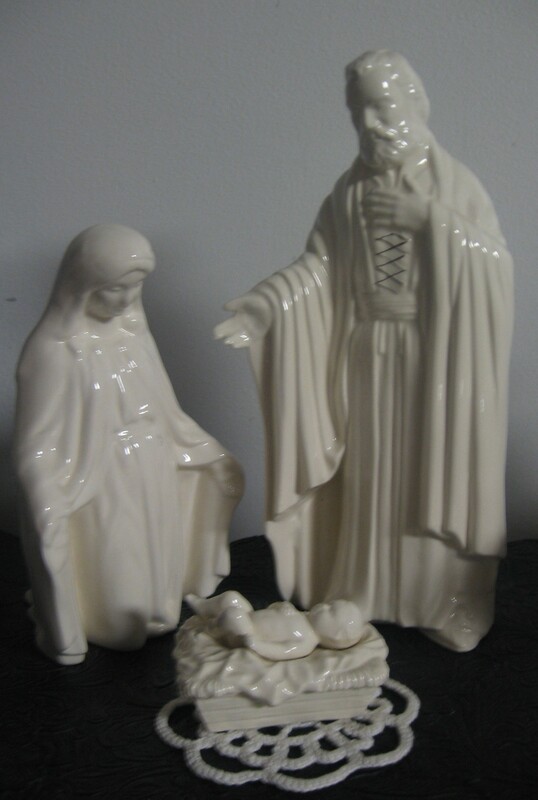 Twenty-one years later, the set was finished when I was inspired by this Christus Statue given to me by my friend and fellow-servant in the Primary. I wondered what I was ever going to do with this matching gourd brought as a souvenir from Colombia all those years ago. Continuing the tradition (a bell on the birth of a boy, a cup and saucer for a girl) this is the bell signalling the arrival to mortality of my son. Sweet memories of Christmases when my babies were new and the thought of giving birth in a cattle stall was especially tender. 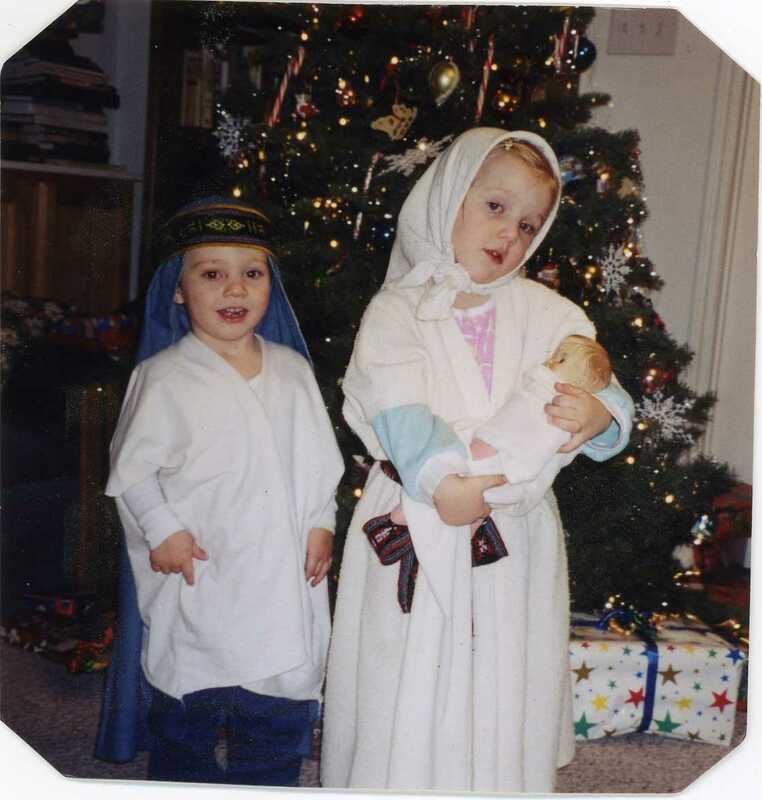 Both my babies were born late in the Fall and passed off for the Baby Jesus in our family Nativity re-enactments. Honoring my husband’s New York roots and the tradition of our family’s sport of choice: Basketball. Beads and Bows and memories of Mrs. Porter, our favorite kindergarten teacher. Cross Stitch Carousel Horse made with love by my little sister. Hollylujiah! This crystal drop reminds me of my friend, Holly, who gave it to me. We picked these beautiful strands of wooden beads up at a yard sale fundraiser for my daughter’s Young Women’s Camp during her teenage years. I was fortunate to spend four of those years at camp as a leader. 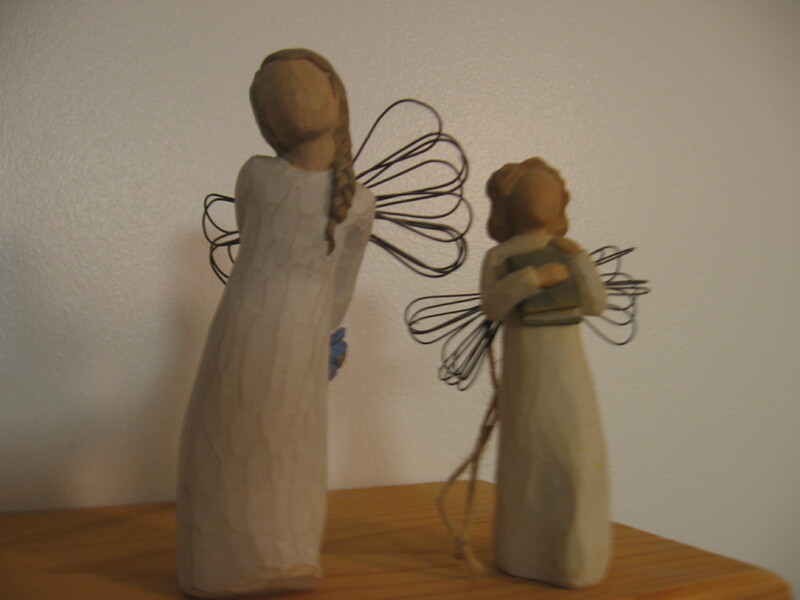 This corn husk angel was personally hand-made for my mom by her life-long friend, Nancy, who happens to be the creator of the highly collectible Nan’s Dolls. Appearing out of nowhere over the years, these cuties represent the goodness of my kids’ friends. So glad we got this little hand print of three year old Shannon at the “Night in Bethlehem” ward Christmas Party 1999. This one doesn’t hang on the tree, but is displayed on a shelf every year. Souvenirs from a Christmas gathering at our church, where Bethlehem of long ago was recreated with authentic food, vendors and artisans. As spectators to the Holy Couple’s entrance into town, all were dressed in our Bible costumes. The kids especially liked working in the potter’s marketplace. Hours of consentration went into these gingerbread and other Christmas themed ornaments when my kids were of the age that they wanted to do projects with their mom. Perler beads bring back sweet memories of working for hours sorting, creating, loving quiet time together with my kids. Music box ornament plays a piano version of Silent Night. This reminds me of my husband’s generous and sweet Aunt Georgine, who always remembers us. This little snowman reminds me of a little girl (one of my students) whose struggles in school never dampened her optimistic and generous outlook on life. This was a gift to her Teacher. I love answering to that name. A going-away gift from a loving and generous family I knew in South America. They didn’t have much by way of material things, but their love for each other was unbounded, and spilled over into the lives of everyone they knew. Reminds me of the dear friend, Denise, who gave it to me. 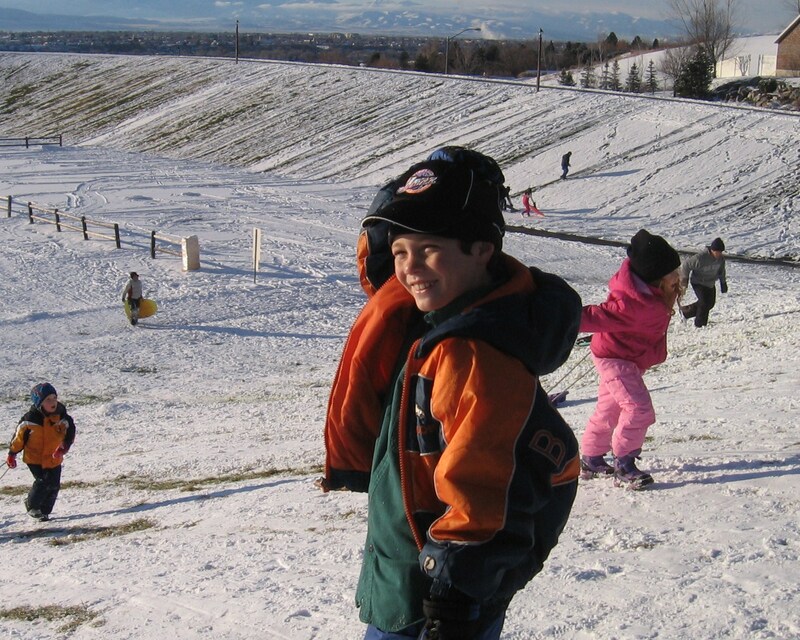 A little girl about 5 years of age, recently immigrated from the warm climate of Colombia came to live in Utah’s winter wonderland just before Christmas. Her family lacked warm coats and boots, had scant bedding, and no concept of snowy winters, but came with huge hearts. When I noticed this ornament on her tree she freely offered it to me. Almost a year in the making, my dream Family Tree is finally up on the wall! I’ve never fancied myself any kind of decorator, but even I knew I needed a serious overhaul when I traded the old desk with a high back for this simpler version, exposing more of the ugly wall. One of my passions, as you know, is family history research which I accomplish while facing this very wall for untold hours. I was initially inspired by trendy floor-to-ceiling stenciled tree silouettes, but I didn’t want it to be too generic. If I was going to the trouble of putting it up, I needed it to be personally meaningful and help my family become more acquainted with our ancestors. As I brainstormed (for literally months) my idea eventually morphed into something totally different from the original idea. I stretched canvases, gessoed, painted, attached photo prints, and framed all by hand and a long process of trial and error. BEFORE: This is the space designated for the family tree. One of about a hundred trees I photographed in research for THE tree. This one grows around the corner from my house. I’m still tempted to use it on a future project. I ultimately decided on this tree to use as my pattern. I found it in Northampton, Massachusetts. The most difficult part of this project was figuring out how to attach the photos in a way that they could be rearranged. I spent most of forever collecting family photographs, resizing, and adjusting the colors to semi-uniform tones. Then I experimented with printing them on canvas I had hand gessoed and cut to fit my printer. (I could have spent the money to have them printed professionally, but there’s apparently something in my DNA that prevents me from doing things the easy way. If I CAN do something myself, I can’t bring myself to NOT do it.) I tried a couple of different methods before I settled on using mod-podge to secure the little canvas prints, along with name labels, to balsa wood I had painted black. To the back of each little picture print I fastened a metal washer, using round ceramic magnets behind the canvas to make them repositionable in the hopes that more photos will become available to me in the future. The joy is in the journey, and in this case, it also resulted in a keepsake I’m proud to display. Here’s how my computer corner looks now. I am so delighted with how it turned out. In one short year (HA!) the ugliest wall in the house has turned into a sentimental focal point. Whenever the “generation gap” (can I still use that term?) wedges itself between members of my family I need to remind myself how to refresh our focus on what’s important to all of us together in the long run. Depending on our age and interests, we tend to have varying goals and pastimes, sometimes at extreme odds with each other, but we are still a family and the ultimate goal is the same for us all. Awhile back I was inspired to initiate a discussion with my family that turned out to be enlightening and resulted in a state of awesome, silent, deep reflection that, as a parent, you hope will counterbalance the multitude of frivolous default activities in your children’s future. Imaginative, impossible gadgets were added to the list. Then someone asked why we should need any gadget at all. Wishing for maintenance-free vehicles that flew immediately turned to wishes of instantaneous travel without use of any vehicle, and the desire for immediate-access-to-everything-smart phones morphed into all-knowing, all-powerful access through their own minds. Every imaginable superpower flew through the air between us, from breathing underwater to healing powers to a free automatic transfer of intelligence between human minds. They were energized by ideas of the most amazing things they could think of being theirs, all without limitations of money, time, physical or mental abilities. 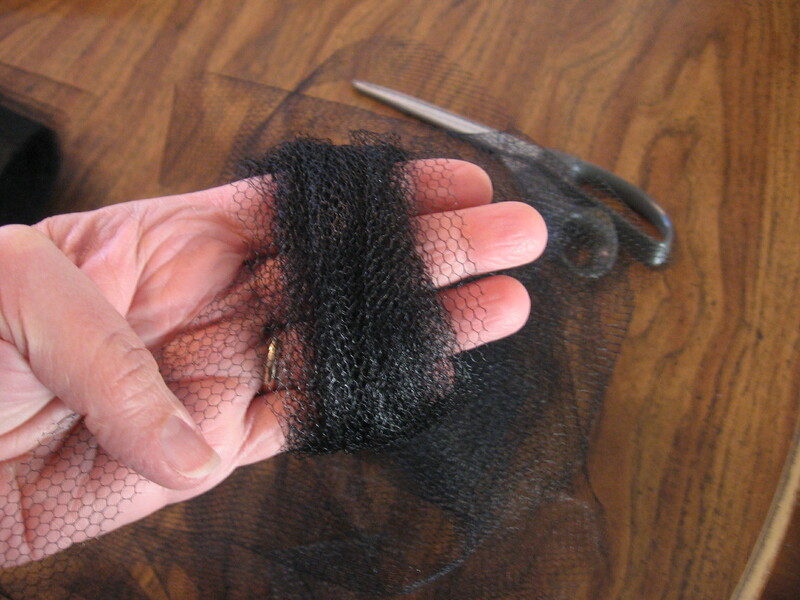 The netting-only pattern requires about 12 yards, but when you combine the materials, you only need about 10 yards of each. 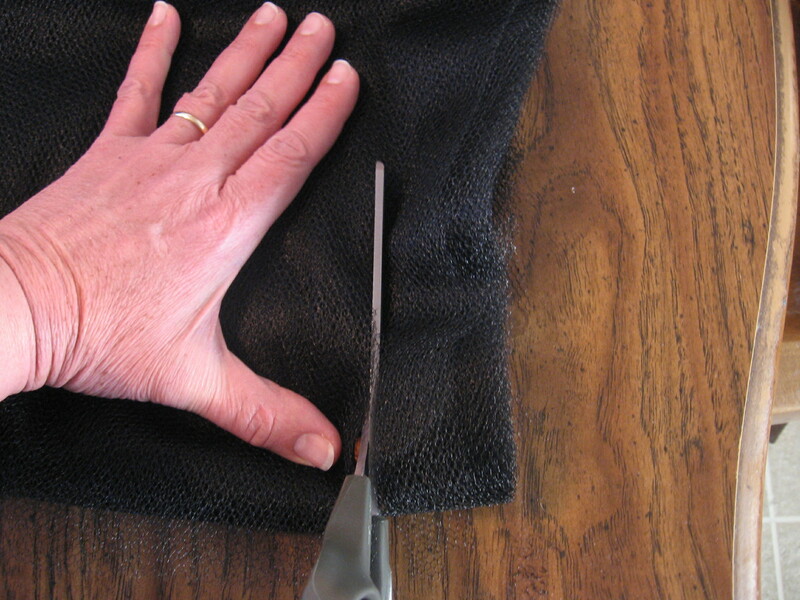 Prepare regular netting (not the tiniest mesh, because you want it somewhat abrasive) by wrapping it carefully around a cardboard or large book, keeping the edges together as much as possible. Cut it in strips about 1 1/2 inch wide. 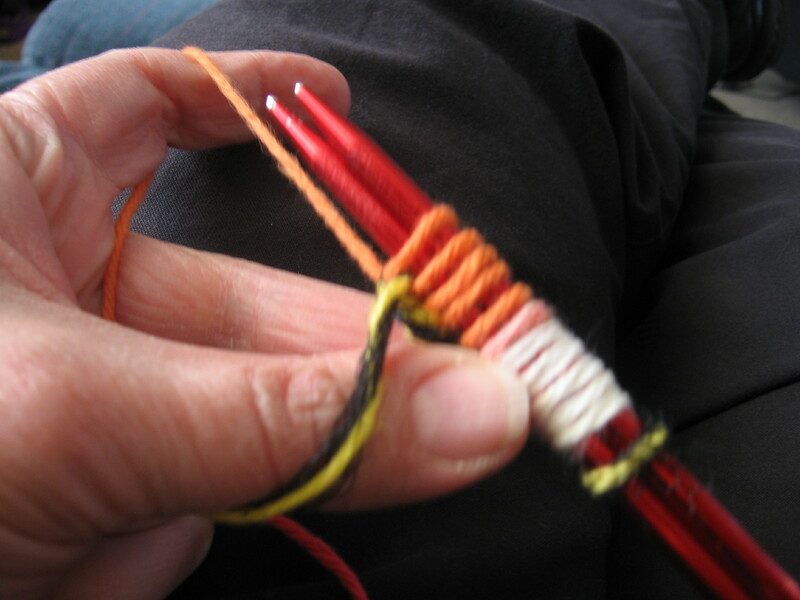 Wind them up around your fingers, making sure you hold onto the beginning so you can use it as a pull-out skein (see it under my thumb.) Tuck the end inside to secure it. You’ll get four little “bobbins” of netting for each strip cut from a regular width bold of fabric. Now you’re ready to begin. 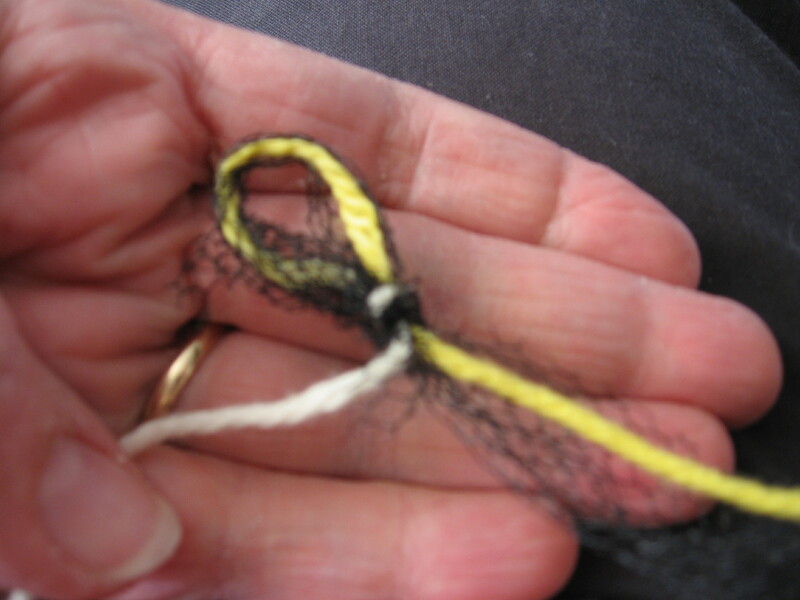 Tie the slip knot using both strands, leaving only a bit of a tail of the tulle and a long tail (about 24 inches) of the cotton. . .
. . . using two knitting needles (mine are size 9) I cast on 12 stitches. 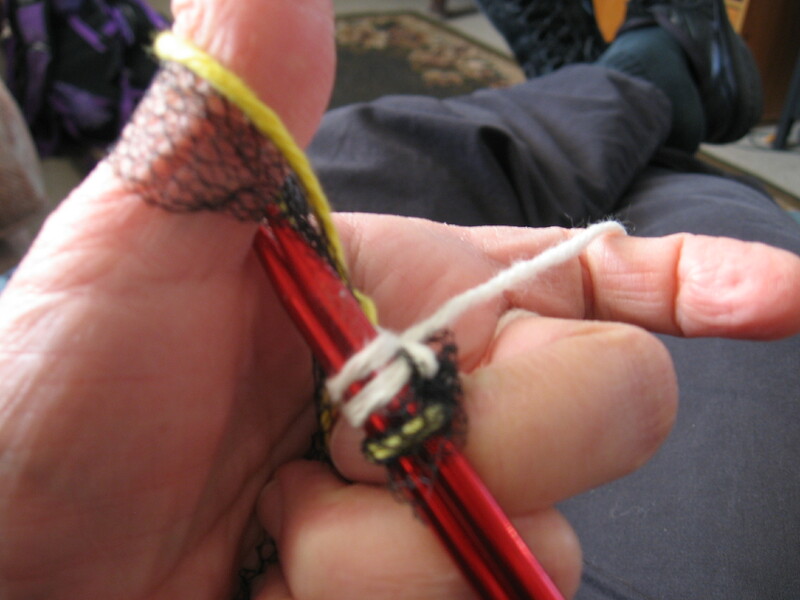 Notice that, using my slingshot method, my index finger is working the cotton-only tail, my thumb holds the cotton and tulle strand. 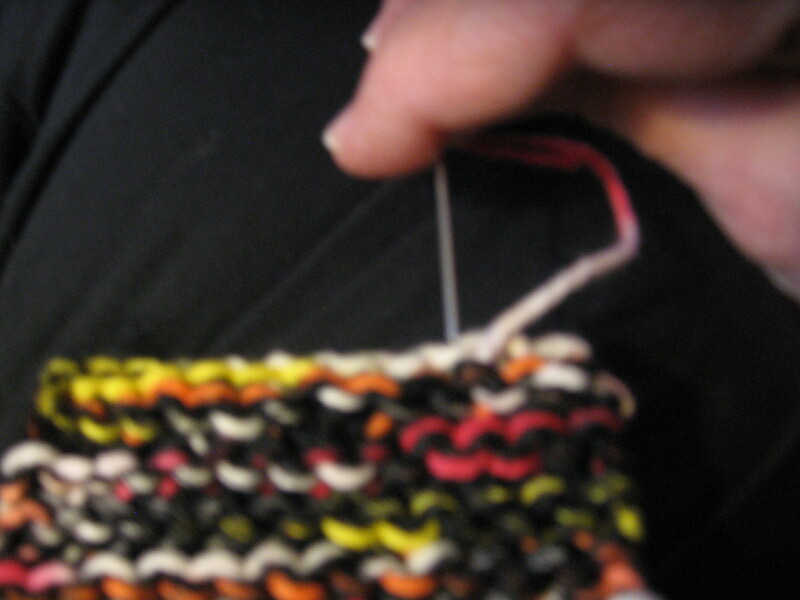 Repeat until there are 12 loops on the needles. 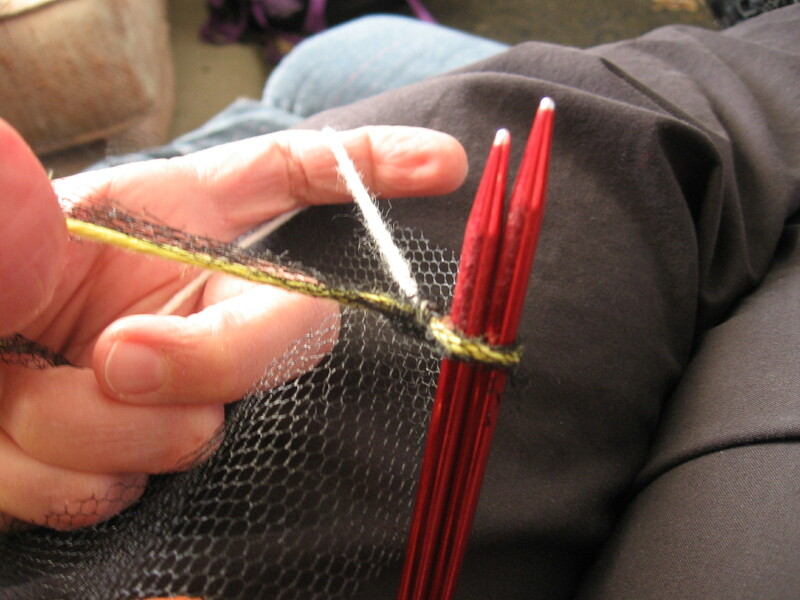 Pull out one knitting needle and begin by purling the first row. 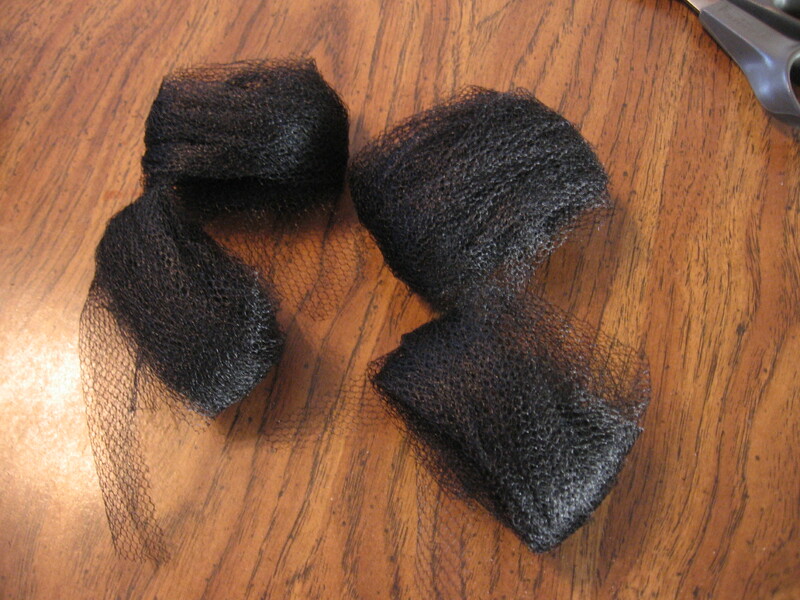 I wrap the tail along with both the cotton and tulle strands. 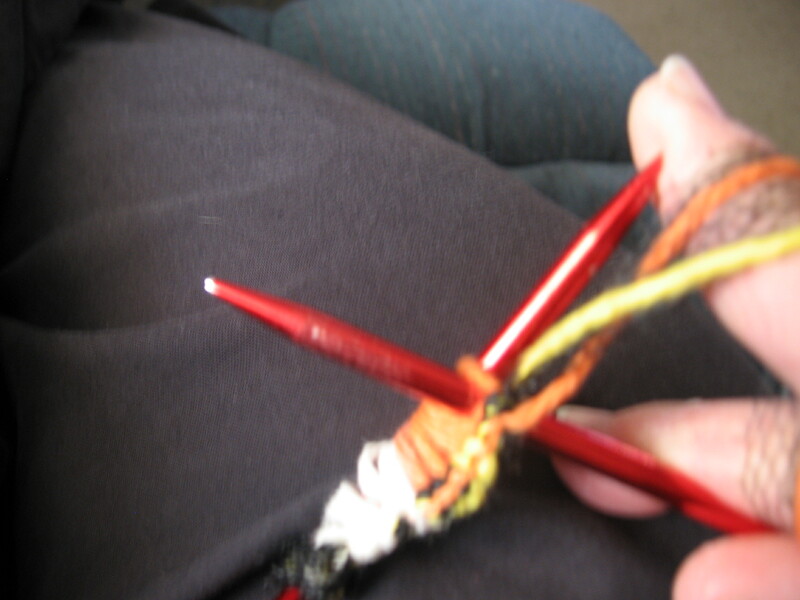 This is my shortcut to secure the tail without having to weave it in at the end. Turn and repeat, purling each row until it’s the desired size. . .
. . . or, until you come to the end of the strand of netting as you can see here. 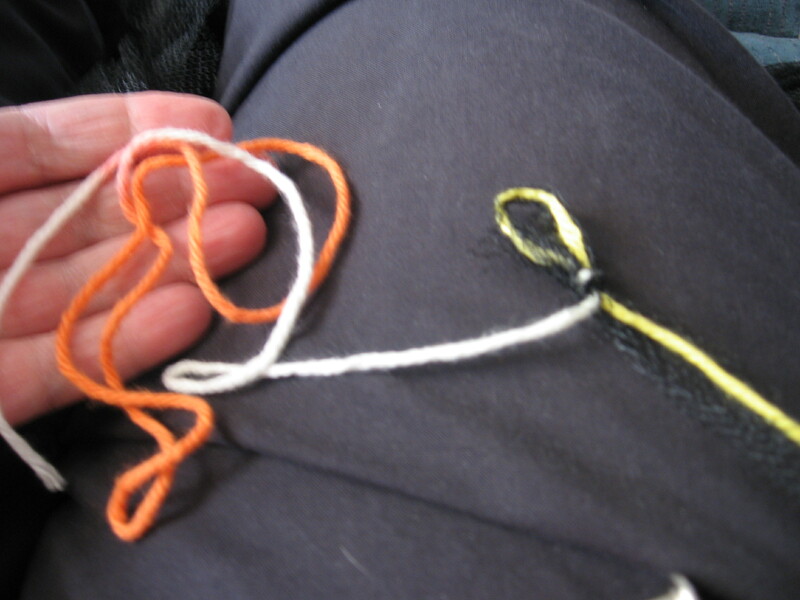 Cast off with the cotton-only strand using a crochet hook and this method. 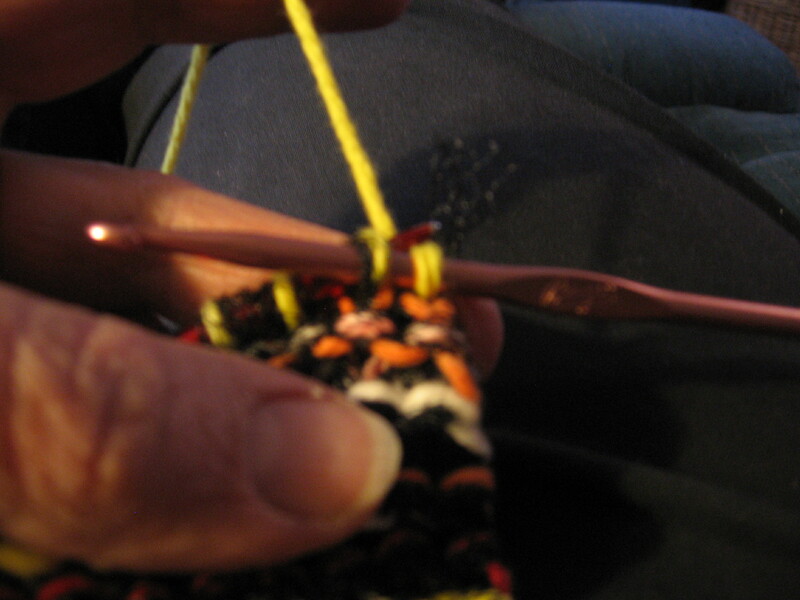 Use a tapestry needle to weave the end in, following the knit pattern across a full row, then cut off. 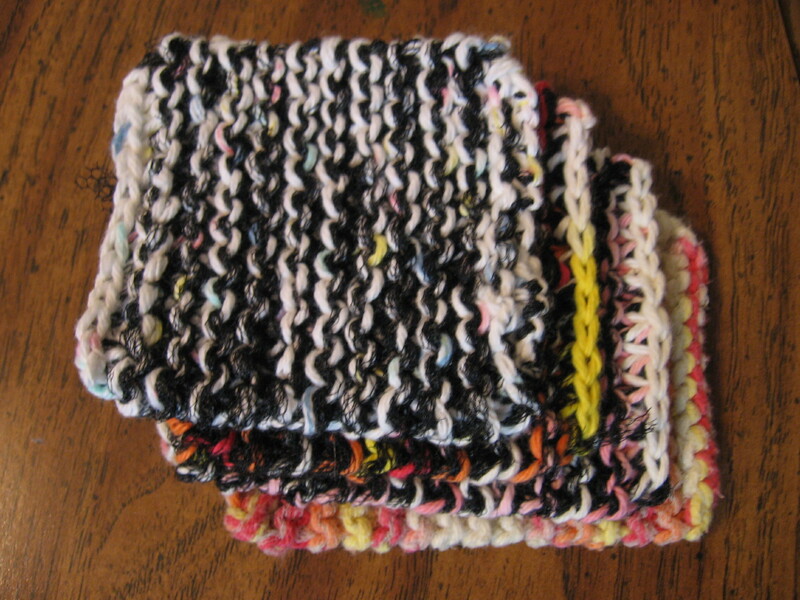 Your finished scrubbie may look imperfect. Not to worry! It will still do the job, and you can keep practicing! 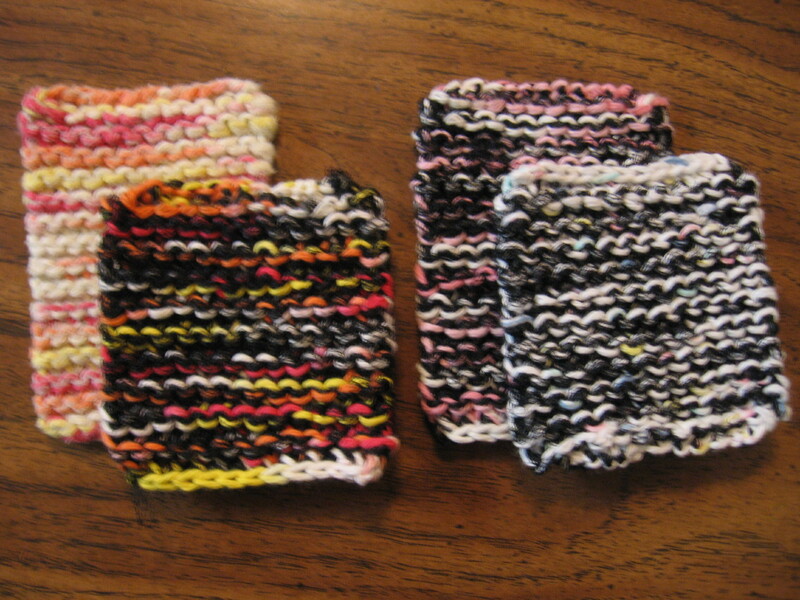 These little babies only take about half an hour even for a slow knitter and you’ll want one of every color! You will LOVE using them on dishes or other cleaning projects! Happy knitting! 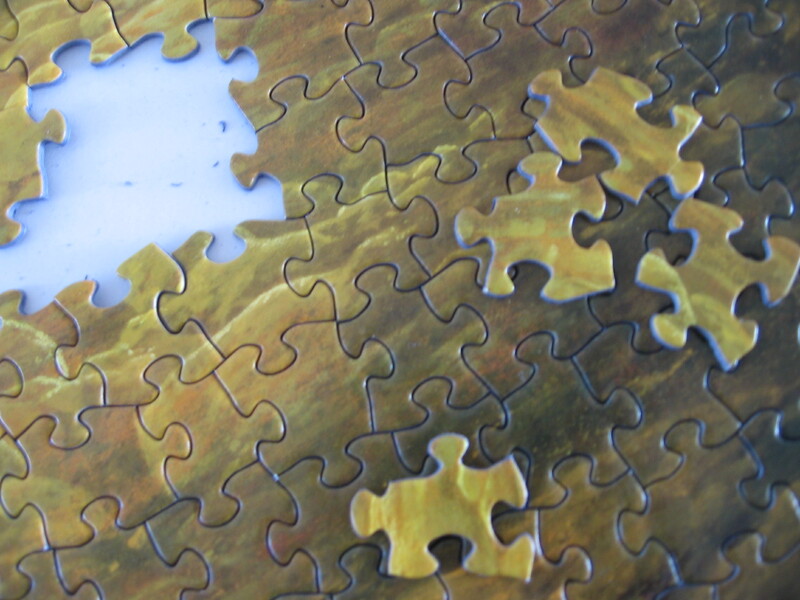 This past Christmas was like a jigsaw puzzle. As with a puzzle, there are a multitude of unique and colorful pieces that make up our celebration each year–some darker and others especially light and bright. When put together in just the right combinations and in the company of friends and family, they accumulate to make a memorable treasure that is more valuable than the sum of the parts. 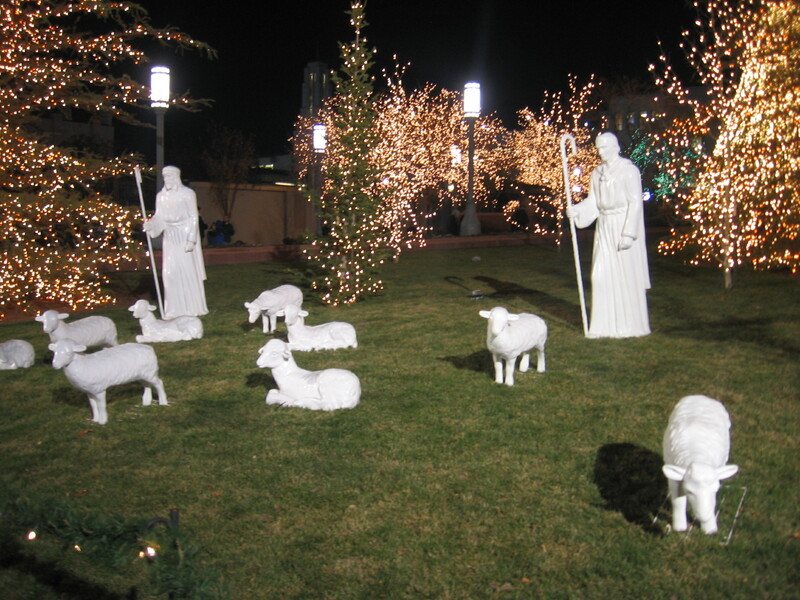 This is part of our favorite Christmas Lights Display at Temple Square in Salt Lake City, Utah. 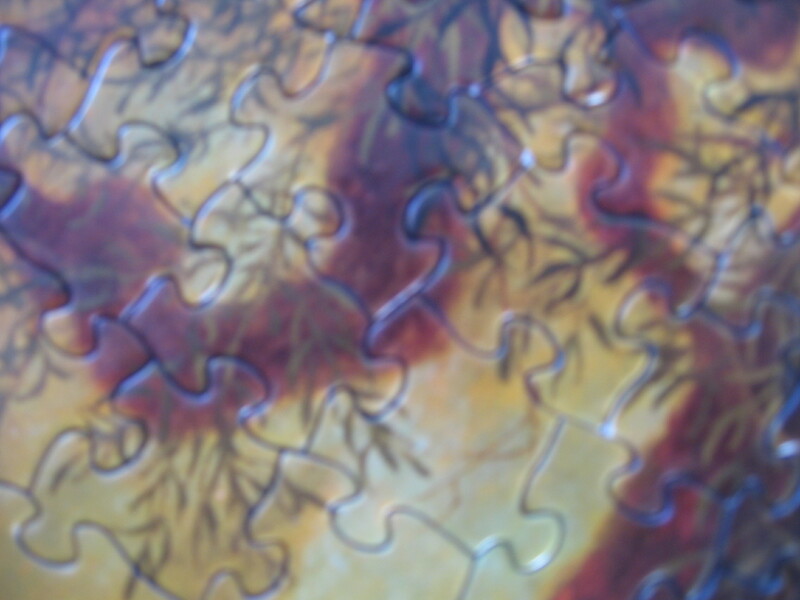 Christmas and puzzles both illustrate to me the saying that there’s more joy in the journey than in the destination. 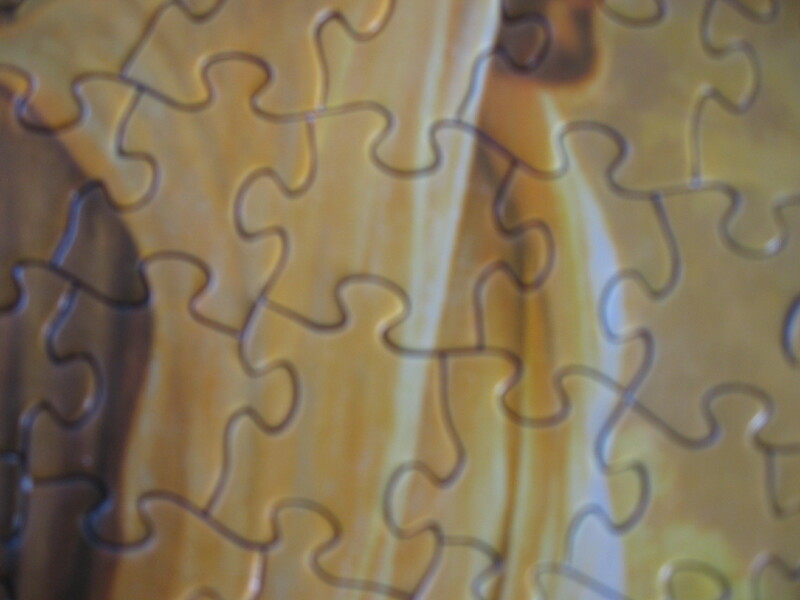 As with every Christmas, a puzzle is most enjoyable before it’s finished–before you have to decide whether to preserve and frame it, or pack it all away in the box again. This year I struggled to begin the process of packing our Christmas decorations up until next–to concede that it was finished. 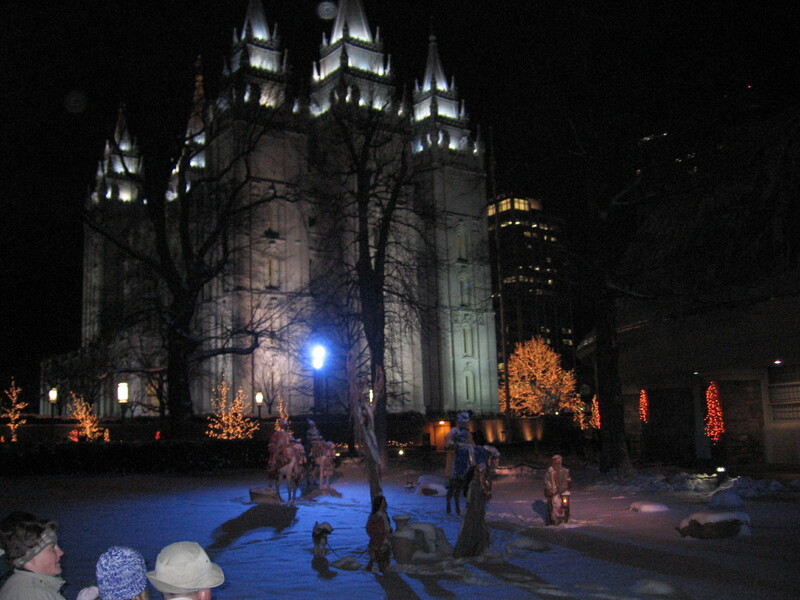 Here’s more of the display at Temple Square. Celebrating Christmas Day with all the extended family at the Bowl was a memorable treat. 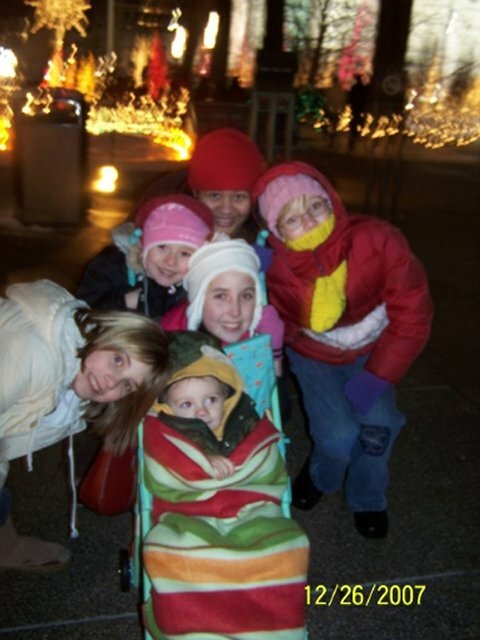 The cold is always more bearable with cousins and Christmas lights. 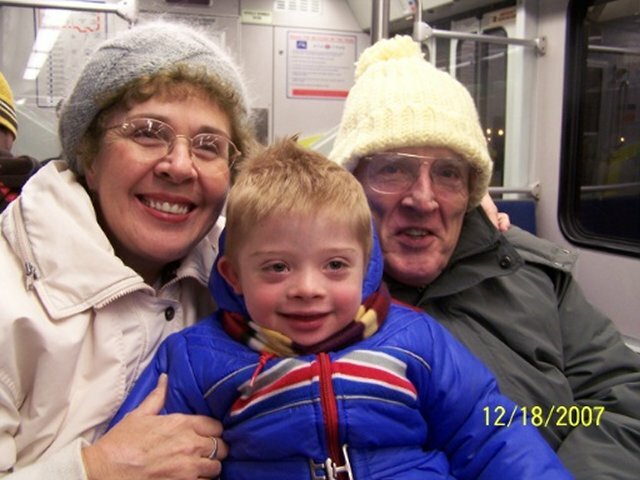 We rode the Trax train into Salt Lake City to see the Christmas Lights right after Thanksgiving every year. This is the first year that my dad wasn’t with us to add to our Christmas memories, so, during the weeks prior to Christmas and up until the New Year, I made a conscious decision to hold fast to some of our favorite traditions and re-establish others in his honor–including a few surrounding the jigsaw puzzle table. 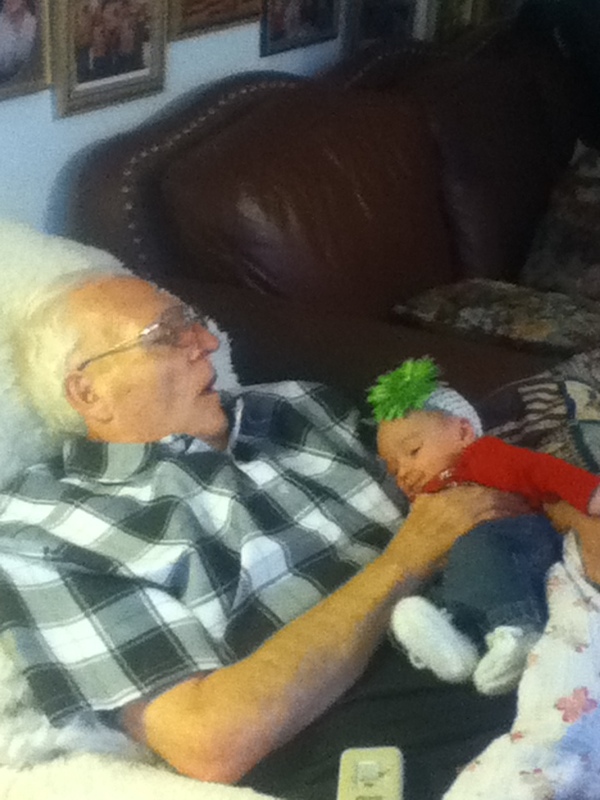 Dad was content with simple things. Finding a unique gift that would surprise and delight him was a challenge. Good Kids–obedient, honest, helpful–that’s what he really wanted, but maybe for our sake we wanted him to have something under the tree to unwrap, too. We watched impatiently as he opened his gifts. He’d slowly turn them over in his hands, shake them gently, and comment how he hated to ruin such lovely wrapping. He’d wonder out loud, teasing our patience and savoring the moment. He would carefully peel the tape from the wrapping paper, folding and smoothing it. 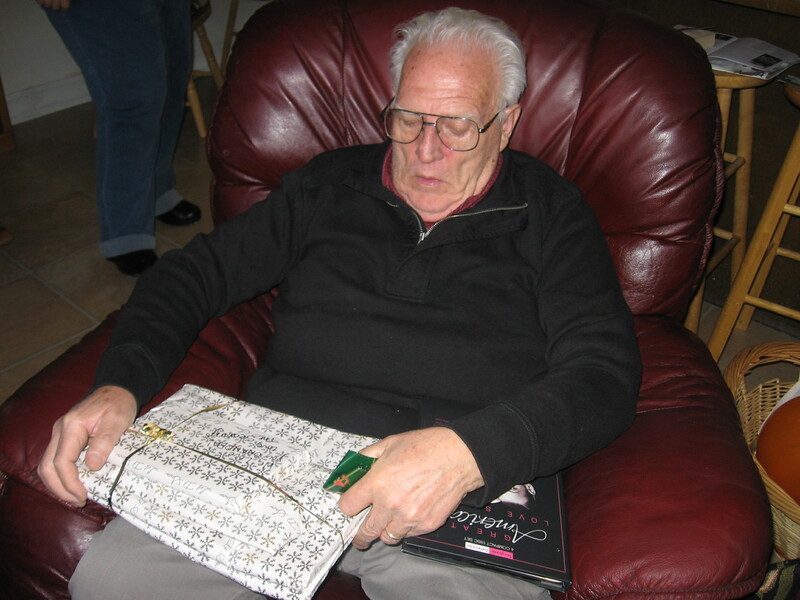 He was able to see well enough to do crossword puzzles after he couldn’t do jigsaw puzzles anymore. Even then, there came a point where he needed a magnifying glass. His expressions of gratitude were worth the wait, though I realized as I grew older that his surprise was often feigned. He pretty much expected a book, a new Sunday shirt, a package of socks. 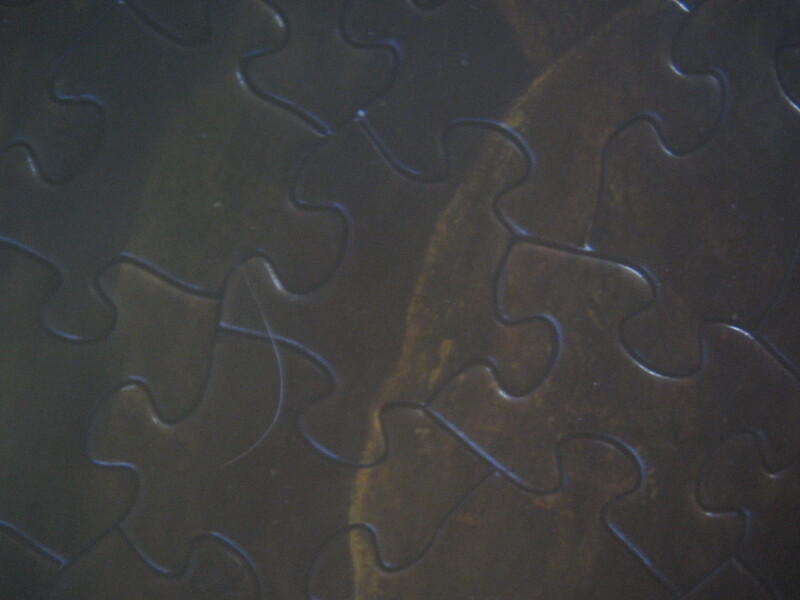 He would know it when he shook it, but a jigsaw puzzle was always good for a surprise when the paper came off. He’d run his fingers over the flowers, mountain valleys, meadows, or architecture featured in our selection as he admired its beauty and appraised the difficulty presented by the contrast of colors in it. Once the gifts were all opened and kids were settled in concentrating on new toys, Dad always set up the card table and, with his car keys, sliced the seal on the puzzle box. He never had a shortage of help to turn the pieces face up, sort them into colors, or locate the ones with straight edges for him. I used to love to take a few pieces out of the middle just to experience the elation–the feel and sound (almost a “crunch”)–of finding the perfect fit again. 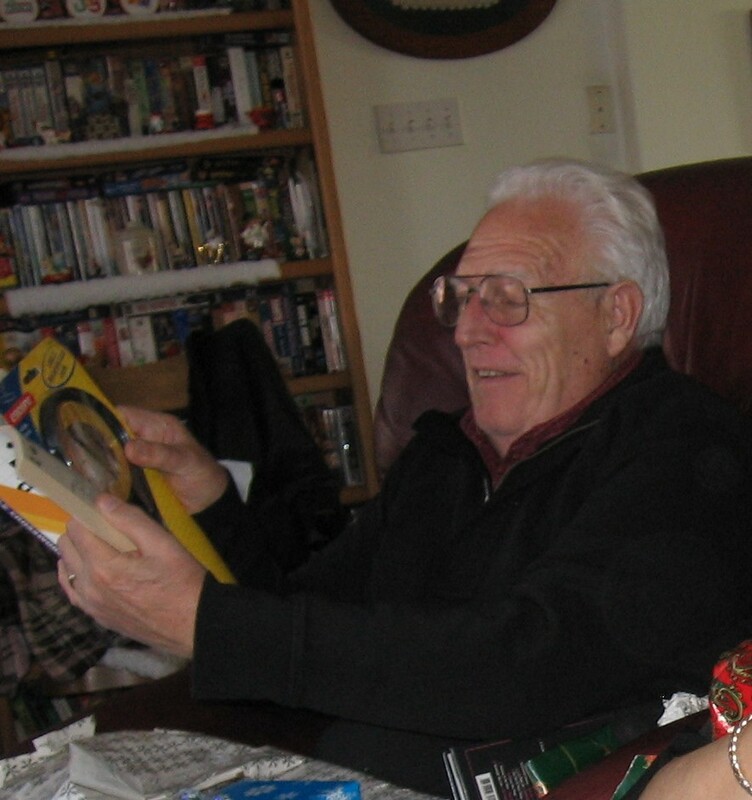 Until Macular Degeneration pretty much claimed his sight a few years ago, Dad always spent quiet hours in the week following Christmas finishing his puzzle. My husband doesn’t get into them like I do, but I thought my kids might remember Grandpa’s puzzles, and decided to get one this year for old times’ sake. For me. For them. For the sake of sitting around the table without apps or earphones or digital distractions, and for completing something that we could work together to accomplish. . . for the sake of conversation. For Dad. I didn’t know if my teenagers would even attempt such an old fashioned pastime. But when Santa brought us a puzzle from Eric Dowdle’s collection featuring Chicago in 500 interlocking pieces they were agreeable to spend a few hours on it. I was pleasantly surprised when my son insisted that his sister wait to open the box when he could be there. We sorted and searched in semi-quiet concentration with occasional bursts of random thoughts, songs, or cooperative conversation. “Pass me all the pieces with wheels.” or “Anyone see the rest of this fountain?” Time flew and we finished it in a few hours. It became a centerpiece for our kitchen table for a day or two and then we broke it down again and boxed it up. It all happened so fast I didn’t even think to get a picture. I was delighted at the suggestion that we should do another one. I found another 500 piece Americana styled picture of a dog-walking park in the after Christmas sales. Two hours after we emptied the box, we were racing to place the final pieces. Like the first, it only played the part of centerpiece for a short while before we craved another. The New Year was still days away. 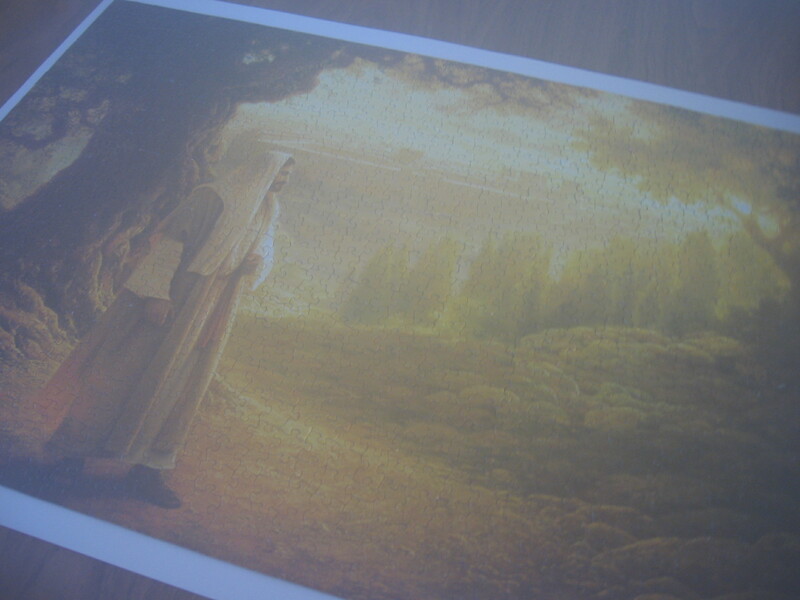 The next puzzle had to be more challenging, and I knew just the one to do. My mom had shown me a puzzle that she intended to give to anyone in the family who thought they were up to it. I visited her and asked if it had been claimed. 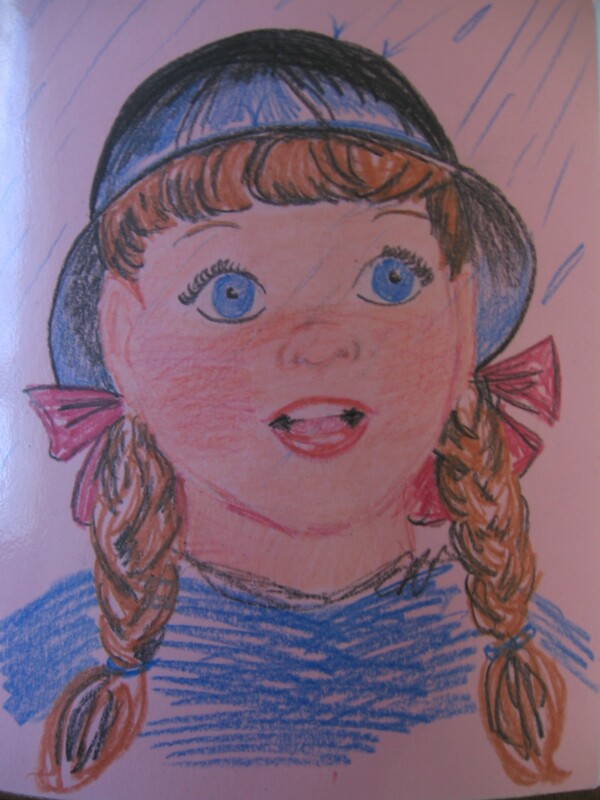 She disappeared into Dad’s office and emerged with a 1000 piecer in a painting called Wherever He Leads Me by the Christian artist Greg Olsen, along with three less challenging ones. There was no question which we would attempt first. This one was unlike the others we had done. No single piece had any recognizable features. Our original sort only included four categories: straight edge pieces, “darks”, “lights”, and anything we couldn’t definitively place in the previously mentioned categories. 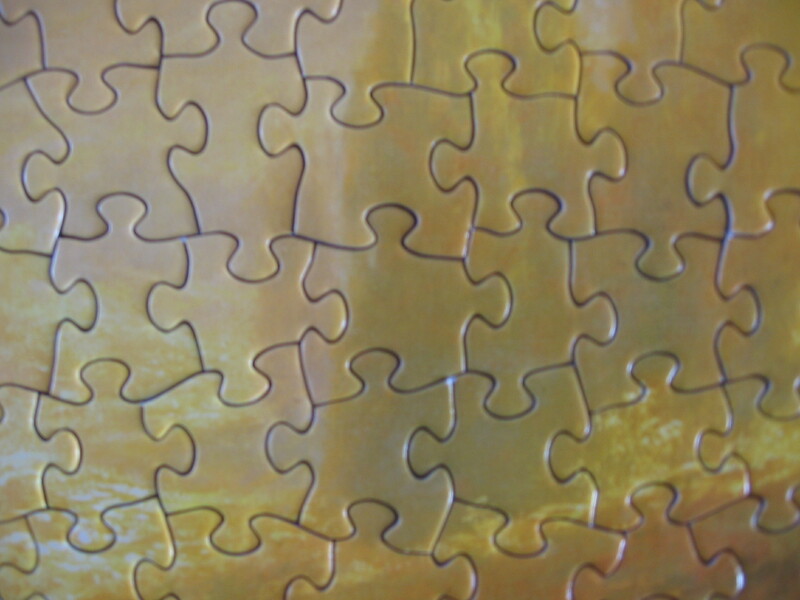 The colors were so subtle and similar that we couldn’t be sure of which area of the puzzle any particular piece belonged to. We began to distinguish the subtle variations of color (pale creamy yellows and dark brownish greens) and nuances of the textures. We soon found ourselves naming the various shapes of the pieces we were in need of. “Anyone see a light ‘buttered popcorn jelly bean’ yellow one with a diagonal line across the bobble?” “I’m looking for a darkest reddish brown one with at least three adjacent knobbies, one fat bobble, and an obtus-ish angle.” “Almost, but it has to be squattier.” Some were just easier to think of in terms of body parts. “It’s about this shape, but the shoulders are narrower” or “it has one large poky knee and a smallish tilted head.” Sometimes it was almost impossible to tell if we had a true match, even after we had checked the seam from the back. More than once, I had to remove a piece that had previously passed the test after I had discovered its neighbor. It was intense. The kids needed breaks after just so long. I knew it couldn’t stay forever on the kitchen table, so I invested most of two days to complete it. In the end, our cooperative effort was rewarded in under three days. This one is going to be framed. After all, the really good memories were never meant to be packed away in a box. I guess I’m justified in wanting to surround myself with Christmas all year long. 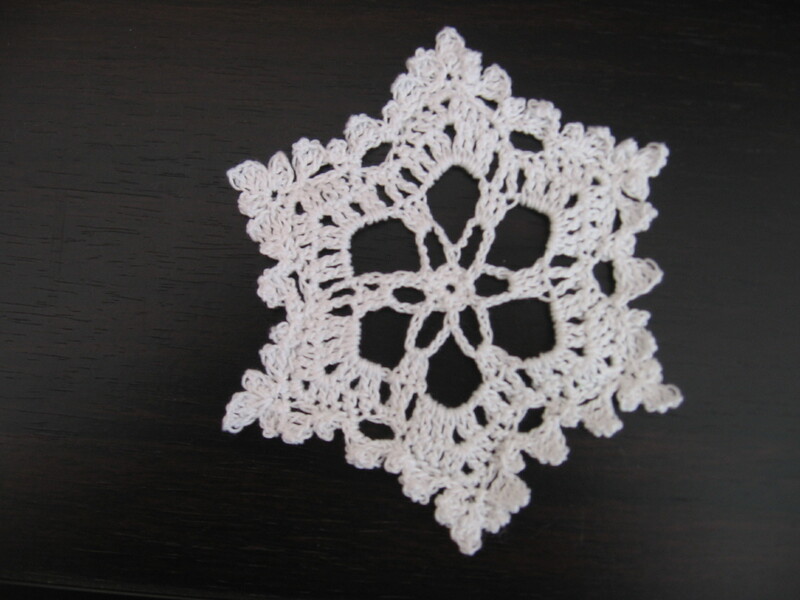 For many years I have loved the delicate intricacies of crocheted snowflakes, but felt a little intimidated to attempt to make one myself. This year I finally summoned the motivation to try it, and I have been amazed and encouraged by my results. 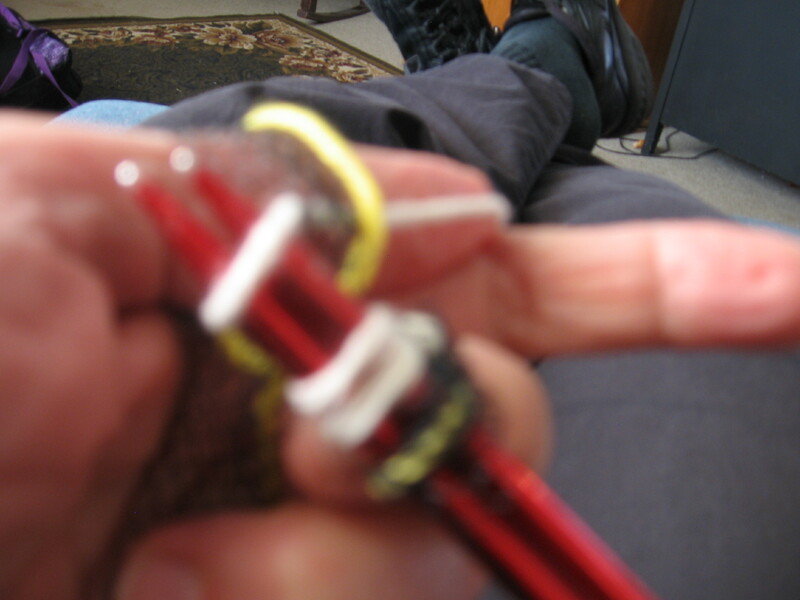 If you are unaccustomed to the small size of #10 crochet cotton and a microscopic (almost) steel hook (I use size 6, most patterns recommend the even smaller 7) it may take a little time to get comfortable with it. 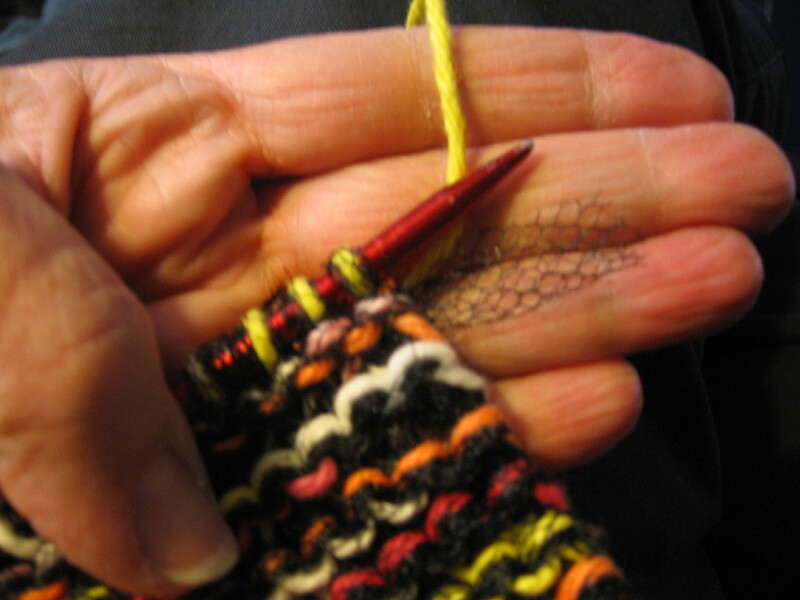 Even if you do a lot of handwork, you may find that they cause your hands to cramp more than usual, but I’ve found that it’s not nearly as difficult as I always thought. 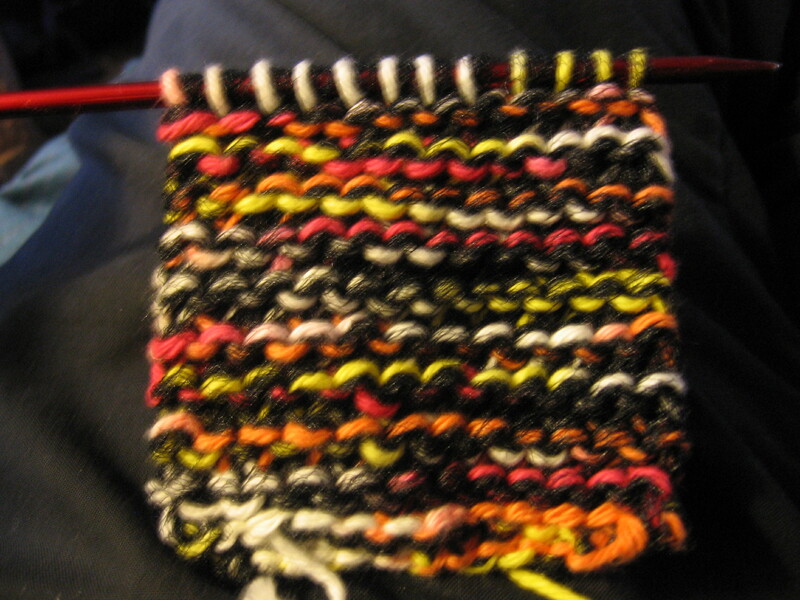 I followed the step by step pattern shown on this video tutorial. 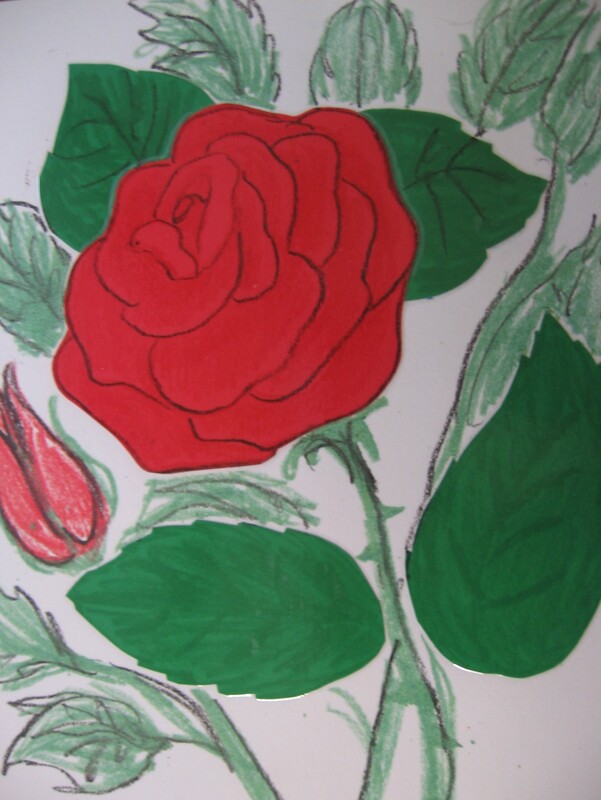 . .
. . .and this one–although it was a little more difficult to follow, since I don’t speak Russian. It was so beautiful, though, that I persisted and was very pleased with my final product. I played with a few techniques I learned from the videos, including the “magic circle” and a few different ways to make picots, and have come up with a couple of my own slight variations. For me, a snowflake is just not a snowflake if it has more or less than six geometric sides. 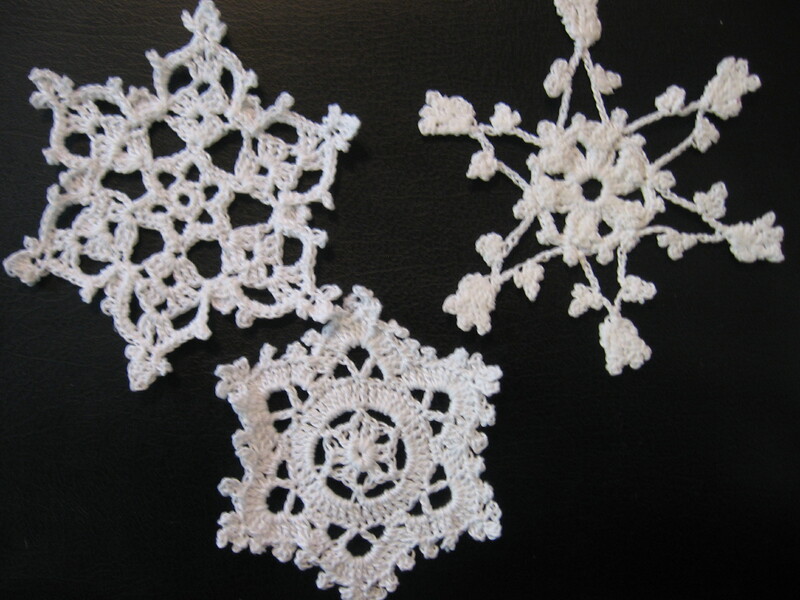 So I will continue to play with them and come up with original designs based on other crochet techniques and pictures I’ve seen online, including these stunning photos of real snowflakes. 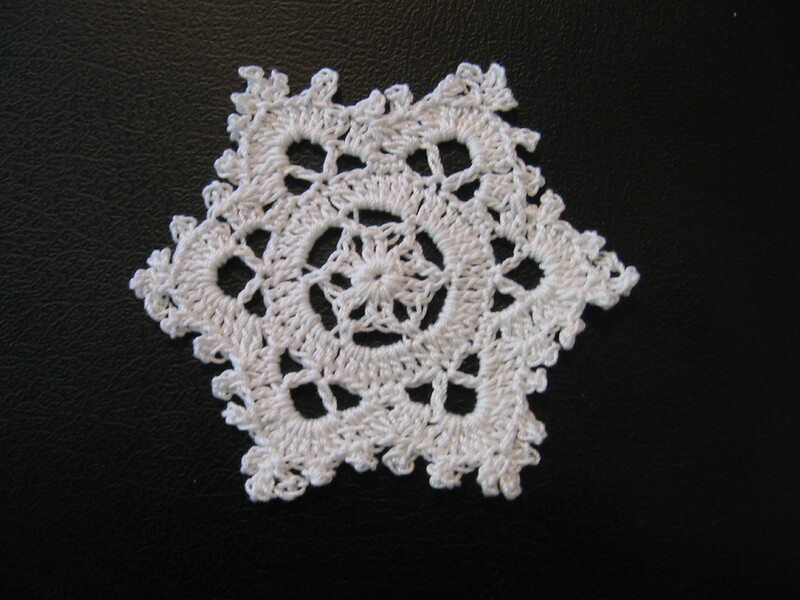 If you’re interested in learning how to graph a design for your own crochet snowflake, click here. To see a tutorial on how to sugar harden your snowflakes, click here. 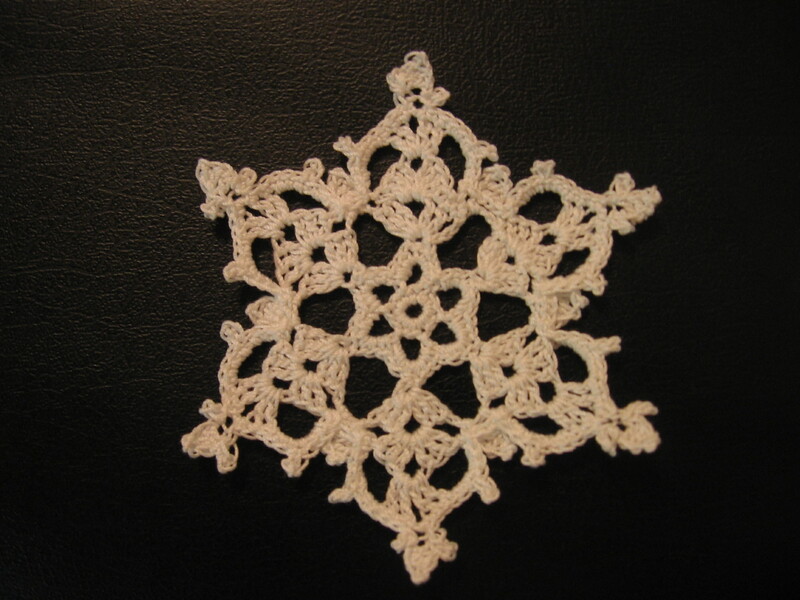 If you are like me, and prefer a visual pattern rather than a written one, you may be interested in learning the technique of charting crochet patterns, as seen here. My long term goal is to decorate a tree almost entirely in crocheted snowflakes for The Festival of Trees next year in honor of my dad. The Festival of Trees held in Salt Lake City is unlike any Christmas celebration you’ve ever seen! There are other tree festivals throughout the world, I suppose, but this has been dubbed the “granddaddy of them all.” The money raised benefits Primary Children’s Hospital. My family and I have been indebted to them for helping to work miracles of turning stressful times of worry into peace and hope, with happy, healthy children on more than one occasion. We have made a tradition of going to the festival annually on the first weekend of December. 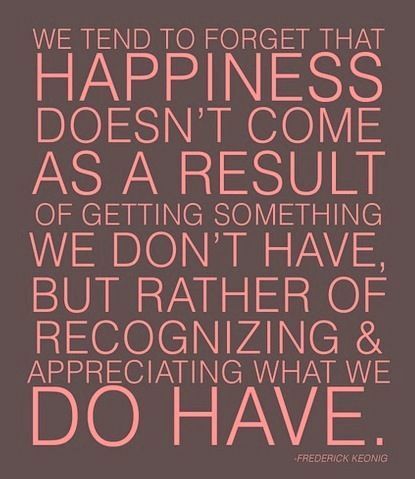 We know we’ll find the true spirit of giving and gratitude and a healthy perspective of our blessings. We always take a pocket full of tissues. 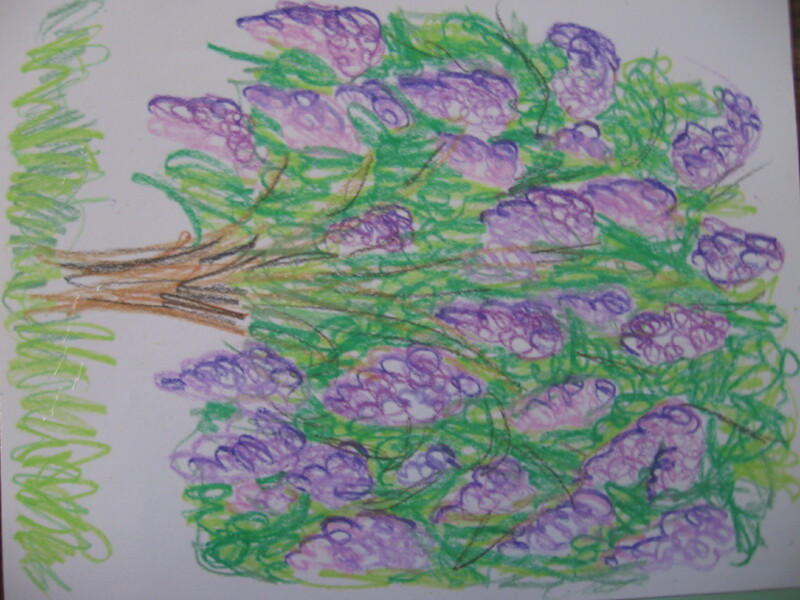 Many of the trees are donated in honor of–and dedicated to the memories of–children who have suffered and struggled at Primary Children’s Hospital. Others are made in honor of adults who have left us and are missed (like my daddy who lost his battle with Alzheimer’s this year.) We cry–for sorrow for those who have lost their battles, and for the families who are left behind–and for joy for the many children who have come out triumphant and carefree. 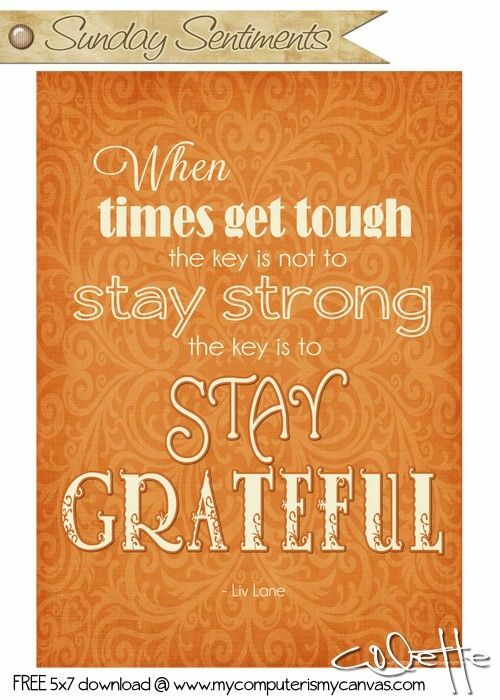 We always leave feeling better connected as a family and feeling grateful to be alive. I’m excited to use my new found talents and resources to contribute to such a worthy cause! I’ll post on my progress as the year goes by, so be sure to check back for updates! I’ve neglected to post lately, not so much because I’m not “up to anything,” but because I don’t want to divulge any secrets until Christmas has passed. For now, here’s something I don’t mind broadcasting. This is a recipe I just discovered, tweaked a bit, and have determined should be in my regular rotation. The basic recipe was on the cover of a Western Family brand graham cracker crust. I read it through once and had committed it to memory. That’s the kind of recipe I like– rich, delicious, and simple! Mix all together until smooth and pour into a graham cracker crust. Bake at 300 degrees for about 30 minutes or until a knife inserted in the center comes out clean. Cool and top as desired. “As desired” conjured up drizzles and dollops and “visions of sugarplums”! While I personally prefer berries, I needed a dessert for a “Twelve Days of Christmas” potluck at work, and I know most people tend towards the chocolate. I made my own graham cracker crust by crushing crackers into fine crumbs and blending them well with light corn syrup, butter, and pressing it into a half sheet cake pan. Upon removal from the oven: sprinkle with another 1/2 cup of chocolate chips, allow them to melt, then spread them into a thin layer. 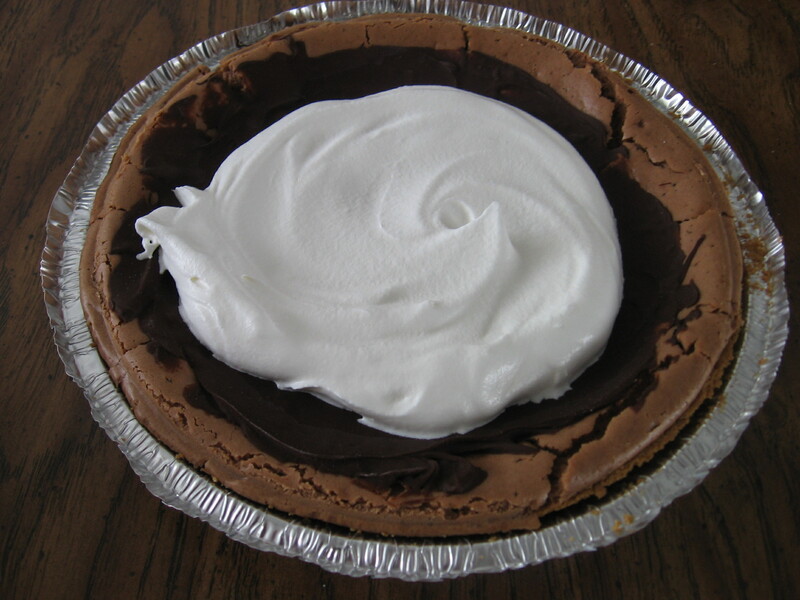 (This will be a slightly crunchy surprise between the chilled cheesecake and whipped topping.) Cool completely. Top with whipped topping and serve chilled. *As a lesser expensive alternative to sweetened condensed milk (which I never just “have on hand” if I don’t have an occasion and a recipe in mind) you may be interested in several homemade versions you can find online. I love to spend Sundays in December with the Primary children at church. Yesterday I was asked to fill in on the piano while they learned The Nativity Song. Picture a Christmas is another of our favorites. The links will take you to a page where you can download a pdf version of the sheet music for piano and an mp3 recording of children singing the songs. I hope you’ll love these songs, and feel the reverent spirit of Christmas as much as I do! And when you do, please share it with the children in your life! Isaiah 54:13 (KJV) ~ And all thy children shall be taught of the LORD; and great shall be the peace of thy children. 1. Picture a stable in Judea. Picture a sacred, silent night. And see the star so bright? 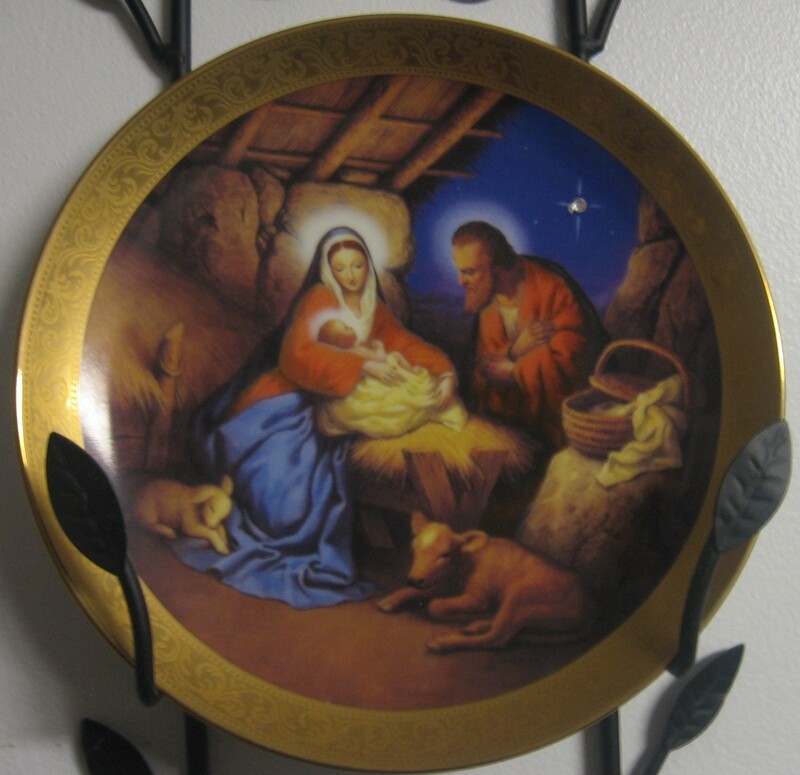 Picture the little baby Jesus. Think of his life and words so dear. As you picture Christmas this year. 2. Picture the kind and gentle Joseph. Picture the mother, Mary, fair. 1. This is the season beloved of the year. Sing a rhyme; Christmastime soon will be here. 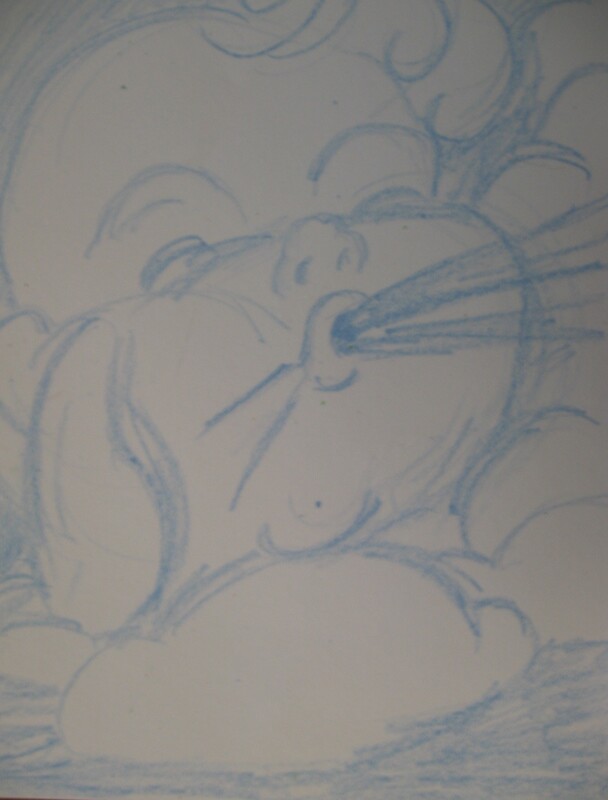 When, as a baby, he came to the earth. Lighting the world on that first Christmas night. Cattle and oxen first welcomed him there. Waiting for Jesus to cradle his head. Hast’ning to worship the heavenly child. Frankincense, gold, and myrrh brought from afar. 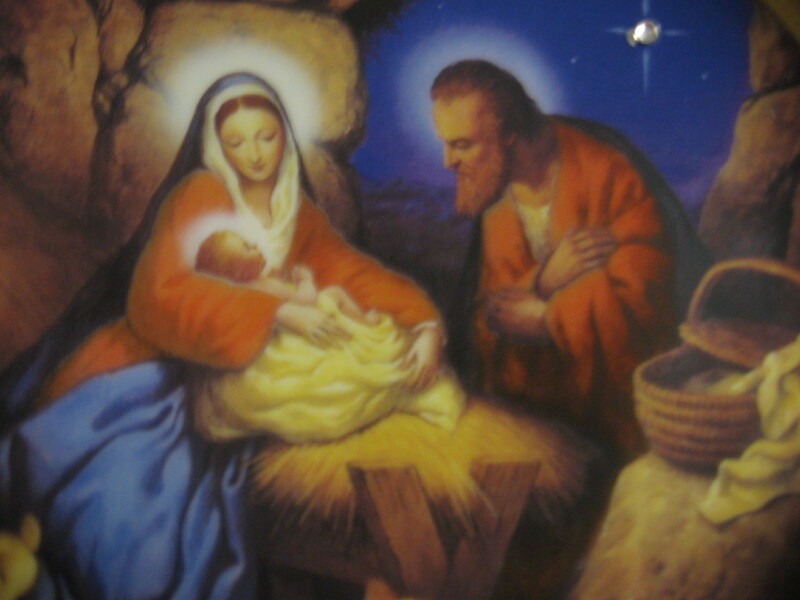 Joseph, who guided the donkey with care. 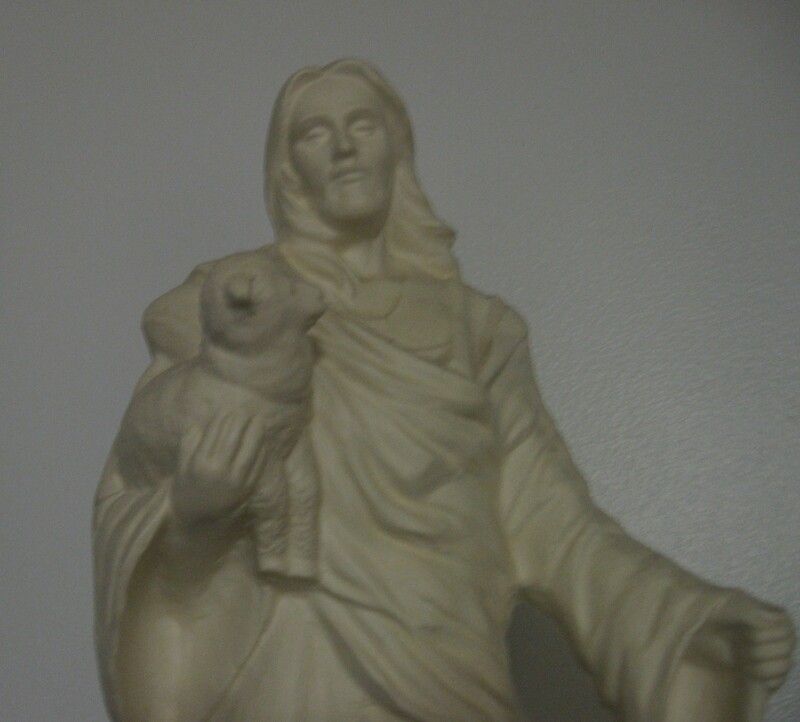 Little Lord Jesus, the Savior of men. Words: Patricia Kelsey Graham, b. 1940. (c) 1980 IRI. Adapted from the poem “The Nativity Story” by Avon Allen Compton. Music: Patricia Kelsey Graham, b. 1940. Songs are amazing teaching tools in the hands of a teacher and engaging to children. Words set to music can help children remember facts and ideas even before their minds fully can grasp them. Songs also provide them the words to express feelings in their hearts that they don’t know how to explain–like gratitude and love. From the time I was three years old, until I turned twelve I went to Primary class one afternoon a week, every week, at the church. I’m sure I had many dedicated teachers and good instruction since I don’t have any negative memories, and always looked forward to Primary day. But for the most part, I don’t remember who my teachers were, and can’t recall a single lesson. I do, however, remember the songs we learned. I love the music of Primary! I credit the songs of Primary with many moments of peace and assurance, conviction, confidence, and the encouragement to make many good decisions throughout my life. I have now spent many years teaching Primary children. They have new beautiful and insightful songs now, and I love learning and teaching them along with the old ones. I’ve made a large file of “flip charts” to illustrate many of my favorite songs of Primary as reminders of the words. Actions, whether made up spontaneously or official sign language signs, have also been effective and a fun way to commit songs to memory. Here are a few links to recordings of Thanksgiving songs that I remember from long ago, including two that have the American Sign Language videos. I hope you’ll enjoy them as much as I do. Be sure to check back again in December for some of my favorite children’s Christmas songs! I used to work in retail. I always had to laugh about how the seasons were all mixed up. Swimsuits arrived in January. Back-to-School started almost before kids got out for the Summer. Winter coats went on sale in June and were scarce as hens’ teeth if you needed one in winter. The only one that really bothered me was when the decorations and elevator “Holiday Music” came out, accompanied by the hype and panic to “get your shopping done” right after Halloween. They don’t wait that long, now. It’s not that I’m Scrooge. In fact, I have been known to crank up the Christmas music at any time of the year. Real Christmas music–I’m not talking about Rudolph, Frosty, or Santa-Baby. I don’t need snow and a limited-time sale to get me in the mood to celebrate Peace on Earth and Good Tidings of Great Joy that Christ, The Savior Is Born! I’m all for keeping Christmas year-round. It’s just that I get tired of rushing past Thanksgiving because society has to maximize the calendar of shopping days. When Thanksgiving traditions are replaced by the frenzy of the newest National Holiday: Black Friday, something’s wrong. Certain holidays have a purpose that’s more than just an excuse to overindulge on sugar, party, or to line the pockets of the opportunistic. My soul needs the regular nourishment of remembering things that offer inner peace and happiness and a refuge from the rat race for a day or two. So for now, I need to breathe it in, slow down, refocus on counting a few of my blessings and remind myself where happiness really comes from. I love Thanksgiving because it’s not about getting dinner out of the way so I can focus on the other business of the day. It is the business of the day, at least one day a year, to acknowledge that because of the bounty of God’s gifts, my family and I have the privilege to work together to prepare and enjoy a delicious meal together, and to spend some time to take notice of other generosities of His loving hands to us.